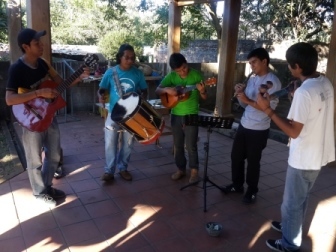 Nahuizalco is a town with strong indigenous customs. 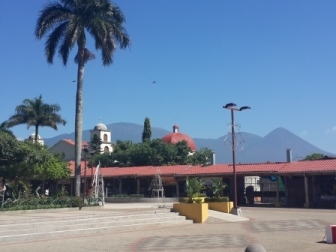 Its name in Nahuat means "place of four Izalcos "; which according to our grandparents means the town was founded by four families from the neighboring town of Izalco. Nahuizalco is part of the "Flowers Route", situated only 9 km from Sonsonate and 74 km from San Salvador, at 540 m ASL on the southern part of the mountain range Apaneca-Ilamatepec. 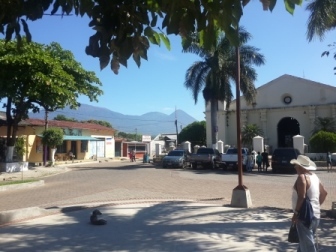 Nahuizalco belonged to the municipality of Sonsonate during the colony and until 1823 was part of the state of Guatemala; from that time on it has remained as town of the department of Sonsonate. Famous for its wicker and tule handcrafts. Tule is processed in two different varieties: the water kind, brought from the pacific coast, and dark which is used for making "petates" (floor mats). 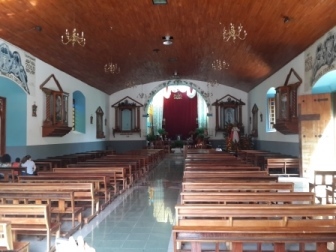 The colonial church has recently been restored, since it was seriously damaged during the earthquakes in 2001, and it is officially opened to the public. The church honors San Juan Bautista every June 20 to 25. 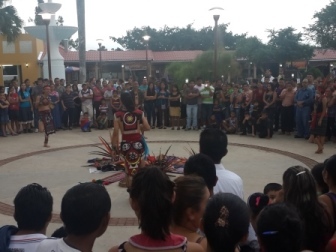 Nahuizalco is also famous for its night market. The streets are lit only by candles and the products made of wicker and tule are sold until 10 pm. Poets such as Alfredo Alvarado & Carlos Arturo Imendia were born here.